Torrents For Newbies 103 : Texas Tim Potter Expat Blog. I have done everything you asked and it never transfers my data. What should I do? The last section of this Torrents will be to deal with the dreaded ISP throttling. 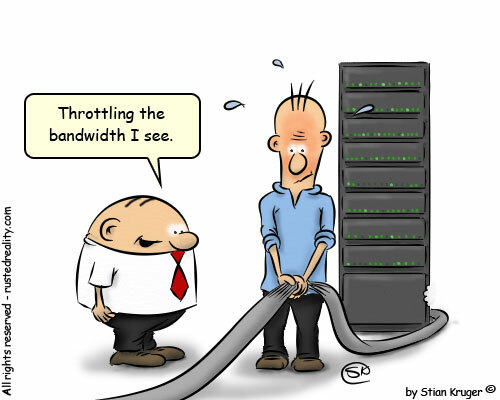 What happens is since Bittorrents make up a large part of the internet traffic currently out there. Your ISP has a desire to limit the traffic and speed up the browser speed of others that are not using peer to peer programs. None of these will guarantee that you will get a faster speed however they can try and help you get around the clumsy ISP that only puts a simple layer of defense. Since I have been talking of Utorrent as your client I will stick with only offering the solution for that client. You can search for solutions for your client. They are available. OK so here we go. First- You can try and encrypt the data. This does has a downside as people must share with you that are also encrypting data. However it is a way that you can get around the data. RC4 encryption is offered right in the Utorrent client and most clients. If you have the Utorrent Client. Open up the Preferences panel and select the BitTorrent tab. Select Protocol encryption and then choose between "enabled" and "forced. (Options, Preferences, Bitorrent, Protocol Encryption). Keep the allow legacy checked. Then change that to forced. It will ensure you are encrypted all the time. Second - Is change your port or make your port random. The reason is ISP have now blocked certain ports. Utorrent has a way to random your port. (Options, Preferences, connection, random port each start). This will ensure you get a random port when the program starts. So ensure this is checked. Third - Is you can set it to Lazy Bit Field. (Options, Preferences, Advance, peer.lazy.bitfiled =true) This sounds real technical but is not that much. It just changes the shape of uploaded packets. It will leave it to the user on the other end to determine the connection. It is an effective method of shaping your outgoing traffic. Forth - VPN you can go through a VPN. It is not difficult to set up. It will tunnel the data you are sending and receiving through this tunnel in hopes to hide your activity from the ISP. Ok so you have all the ways to try and shape the traffic. Now for the bad news. ISPs are always changing what they do and how to shape traffic to prevent peer to peer programs. However today these are the most effective ways to try and shape your traffic so the ISP will not detect you. Hope this article on Torrents for the Novice provides you with answers to get your favorite items from the web.